Since her earliest memories, Ellysetta Baristani has feared magic, even as she has been inexorably drawn to all things Fey, especially the poetry and legends of Rain Tairen Soul. Now claimed as Rain’s truemate and no longer able to deny her own magic, Ellysetta is swept into the very center of a struggle filled with the magic and darkness she has always feared. The High Mage of Eld wants to capture her. The most murderous dahl’reisen who ever lived wants her dead. And her enemies will corrupt even the people she loves most in their quest to claim her magic for themselves. Lady of Light and Shadows was nominated for a Fantasm Award in the Best Epic Fantasy category. Voting is now open at Fantasm Awards. Lady of Light and Shadows won the 2008 Gayle Wilson Award of Excellence in the paranormal category. Lady of Light and Shadows finaled in the 2008 Desert Rose Golden Quill Contest in the Fantasy, Sci Fi, Futuristic category. 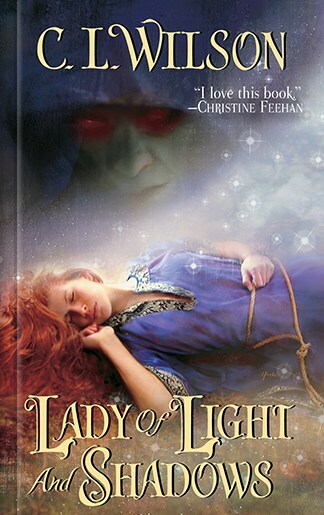 Lady of Light and Shadows won the 2008 Winner Beacon Contest - Published Division Award in the Paranormal, Fantasy, Sci Fi category. Lady of Light and Shadows finaled in the 2007 National Readers' Choice Awards in the Best Paranormal/Fantasy Romance category. 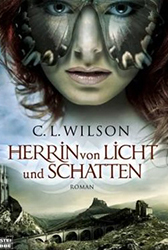 The German translation of Lady of Light and Shadows, Herrin von Licht und Schatten, is published by Bastei LÃ¼bbe (Bastei Verlag) and is available in both paperback and ebook editions.